THORNTON, Colo. - March 19, 2019 - PRLog -- Double your chances of finding your dream home with two Grand Openings on Saturday, March 30th from 10 a.m. to 6 p.m. and Sunday, March 31st from 11 a.m. to 6 p.m. Tour new models at Barefoot Lakes in Firestone then hop on over to Willow Bend in Thornton for the opening of two new home collections. The public is invited to attend both events and enjoy complimentary eats provided by Biker Jim's Gourmet Dogs from 12 to 2 p.m.
"We're very excited to be Grand Opening two communities which will offer home shoppers a wide range of new home designs to choose from, so they can find a home that meets their lifestyle," said Carrie Castilian, Director of Marketing for Lennar Colorado. "Come out and tour the models showcasing modern designs, a high level of Everything's Included® features and set in desirable locations in Firestone and Thornton near the area's best recreation, entertainment and schools." Barefoot Lakes in Firestone is a premier community conveniently located between Denver and Loveland and offers residents countless recreational opportunities with lakes, trails and parks nearby. 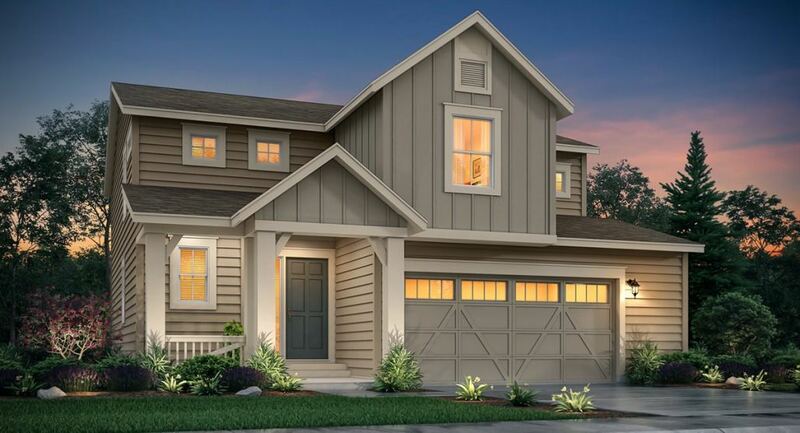 Starting from the low $400,000s, The Pioneer Collection (https://www.lennar.com/new-homes/colorado/denver/fireston...) offers four two-story designs ranging in size from approximately 1,884 to 2,612 square feet including three to four bedrooms and two and one-half to three and one-half bathrooms. Willow Bend (https://www.lennar.com/new-homes/colorado/denver/thornton...) in Thornton is located near the popular Thornton Trail Winds Park and Open Space complex that will unveil a new recreation center in the fall. With two new collections starting from the mid $400,000s, new homes offer ranch and two-story designs ranging in size from approximately 1,974 to 4,122 square feet including three to six bedrooms and two to four and one-half bathrooms. Tailored for the modern family, floorplans boast bright and open living areas for easy entertaining, upscale kitchens, spacious secondary bedrooms for the kids, sophisticated master suites, outdoor living areas and flexible spaces per plan. Additionally, with multigenerational living on the rise, Lennar's innovative Next Gen® – The Home Within A Home® design is available at both communities. The layout offers a main home plus a private suite complete with its own living space including a separate entrance, living area, kitchenette, bedroom and bathroom. It's like having two homes under one roof and perfect for avoiding elderly costs and moving elderly parents in, returning children or long-term guests. Best of all, the designer upgrades and features you want are included as standard with Lennar's signature Everything's Included® program. Enjoy high-quality cabinetry, stainless steel appliances, home automation technology and Wi-Fi CERTIFIED™ Home Designs, granite countertops, energy-efficient features and much more throughout—all at no extra cost. Interested home shoppers are encouraged to attend both Grand Opening events. Barefoot Lakes is located at 12816 Creekwood St in Firestone, Colo. 80504. Willow Bend is located at 5169 E 144th Pl in Thornton, Colo. 80602. For more information, please visit www.Lennar.com/Colorado.